Pomona CA | Flue Steam Inc.
Pomona CA is probably best known as the home of the Los Angeles County Fair, which is a tremendously popular annual event. In fact, it’s the 4th largest county fair in the country and has attracted at least 1 million visitors almost every year since 1948. One of the joys of visiting the fair in Pomona CA is of course eating deliciously unhealthy fair food. However, junk food is far from the only cuisine available in Pomona CA. The city has many quality restaurants ranging from fast food to fine dining. What do they all have in common? Fire safety standards! No matter what kind of restaurant you own or operate in Pomona CA, Flue Steam can help you comply with relevant fire safety standards. We can perform required exhaust system inspections, provide thorough exhaust hood and duct cleanings, and install, test, and recharge automatic fire suppression systems. 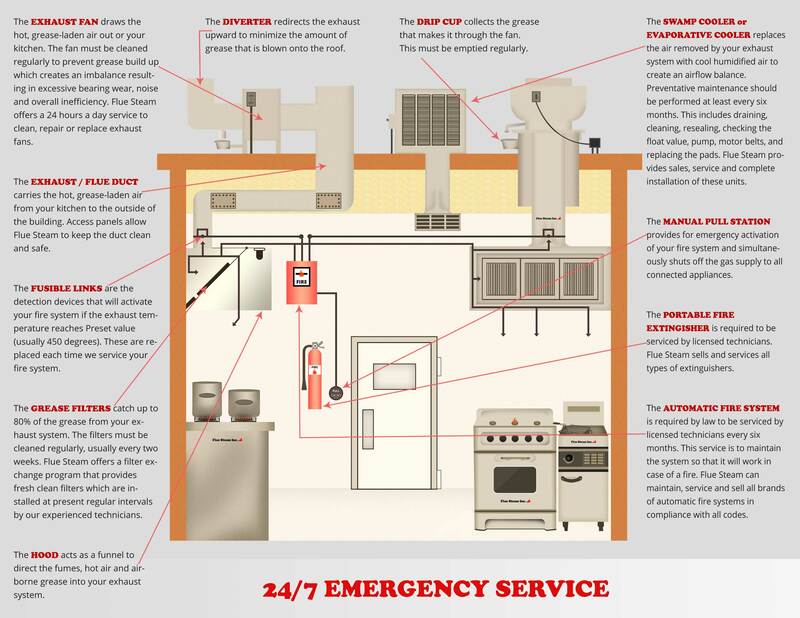 Give us a call today to find out more about how we keep your kitchen safe and code-compliant.